We all know that Samsung Galaxy S7 is launching at Mobile World Congress [MWC 2016] on February 21 to be precise and it will be available in various variants worldwide both unlocked and carrier. Galaxy S7 has three siblings – Galaxy S7 Plus, Galaxy S7 Edge, and Galaxy S7 Edge Plus. As such it’s the right time for all those variants to get through country-wise telecom authority regulatory and first news comes from Canada as Galaxy S7 with model number SM-G930W8 gets certified by FCC. 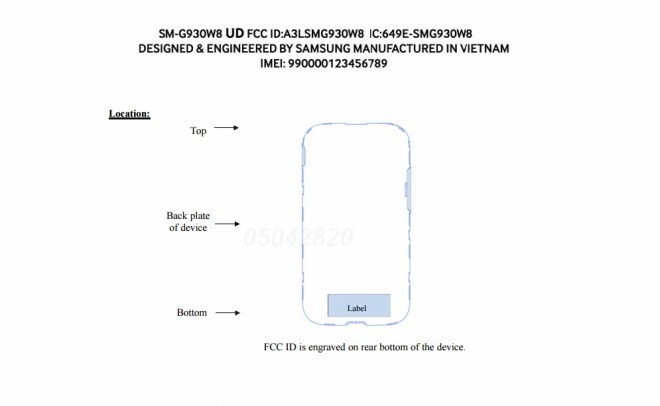 According to FCC listing, the Galaxy S7 SM-G930W8 will be heading to Canada and will be carrier-locked to Bell Mobility. It supports FDD-LTE connectivity with TD-LTE, WCDMA and GSM. It has been also certified with WiFi [both 5.x GHz and 2.4 GHz bands], NFC and Bluetooth. The Galaxy S7 Bell variant will be with 4 Gigs of RAM, powered with Snapdragon 820 processor or the Exynos 8890 depending upon the version you get. It will be powered with Android 6.0 Marshmallow out of box and includes 12 mega pixel rear camera.